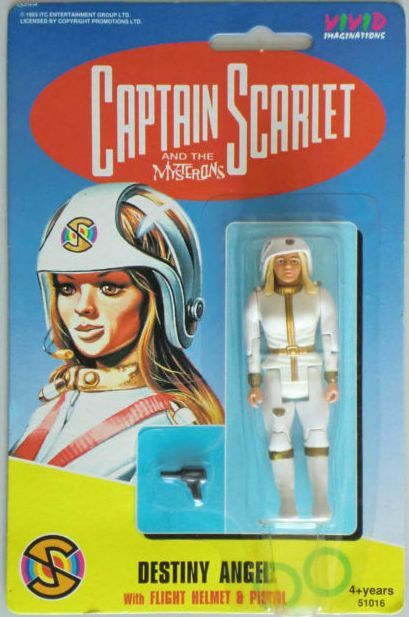 She's Fantastic: The Ladies of CAPTAIN SCARLET! 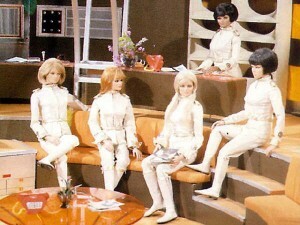 The Ladies of CAPTAIN SCARLET! Captain Scarlet and Mysterons is a classic British Supermarionation series produced by Gerry Anderson in 1967. 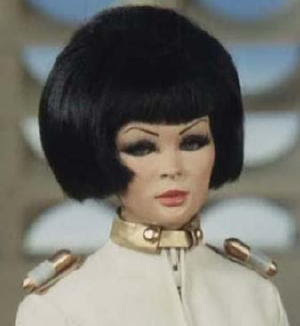 Younger generations are familiar with Supermarionation as the retro-looking puppetwork in movies like Team America: World Police and MTV's Super Adventure Team series. However, the genre was a well-established sci-fi/adventure artform all throughout the 1960s. Thunderbirds, Stingray, and Terrahawks were all very popular in their time and featured a similar stylized "puppet" look. 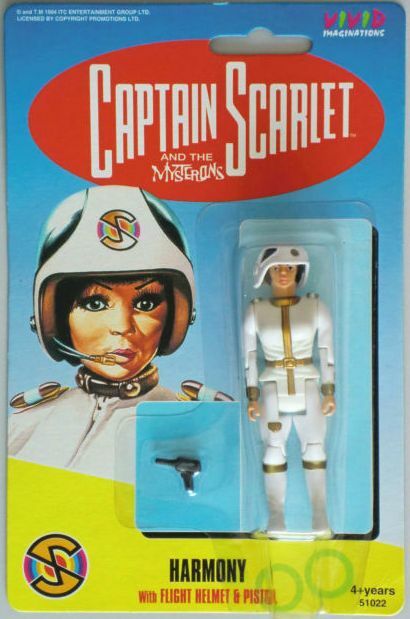 Captain Scarlet, however, featured very humanlike puppets with correct proportions and almost mannequin-like visages. The series focused on the conflicts between the extra-terrestrial Mysterons and the international defense team Spectrum. Spectrum's headquarters were an airborne ship called Cloudbase, and protecting Cloudbase were five female pilots (the Angels): Destiny, Harmony, Melody, Rhapsody, and Symphony. Unfortunately only Destiny and Harmony got the toy treatment. We'll start with Harmony Angel. She is the token Asian Angel in the multi-national and multi-cultural group. Both characters come with helmets that fit just fine, but look a little ridiculous. I'll start with non-helmeted pictures. Harmony comes with a helmet and a pistol. Her helmet has holes along the sides, while Destiny's is solid. Up next is the leader of the Angels, Destiny. The funny thing about this figure is that I never realized show messed up her left eye was until I took these photos. She's small enough of a figure that I never noticed all these years she's been in my collection. Destiny's Helmet has solid sides. Mine is unfortunately missing its Spectrum sticker. Here is a screenshot of Destiny Angel from the show followed by a shot of the group. And here's a video to give you some cool visuals. They look like they're wearing toddler swing seats on their heads haha!